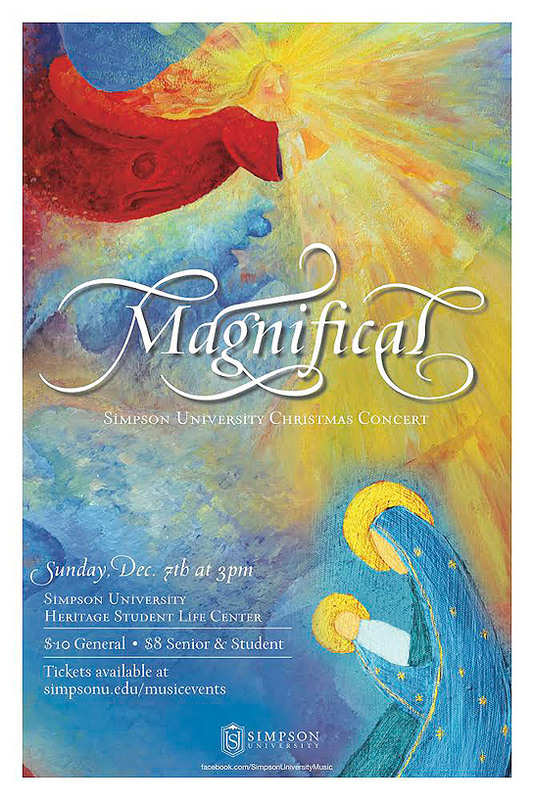 REDDING, Calif. - The Simpson University Music Department will present “Magnificat” during its annual Christmas concert at 3 p.m. Dec. 7. 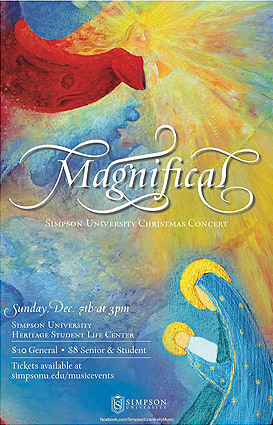 This annual Christmas Concert has become a community favorite, with a wide variety of excellent Christmas music performed by all of Simpson's ensembles, including the Simpson Chorale, Simpson Handbell Choir, Trinity Repertory Singers, Shasta Symphony Orchestra, and more. As the centerpiece, this year's concert features John Rutter's beautiful “Magnificat.” This work for choir and orchestra captures the depth of beauty of Mary's prayer and is one of the most beloved works of the choral repertoire. This concert will be held at the Heritage Student Life Center at Simpson University, 2211 College View Drive, Redding. Tickets are $10 for general admission, $8 for seniors and students, and are available at the door or online at simpsonu.edu/musicevents.